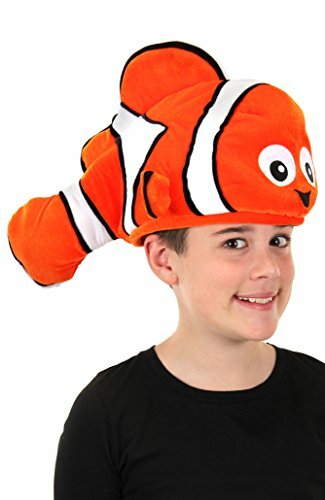 There is something fishy about this hat! 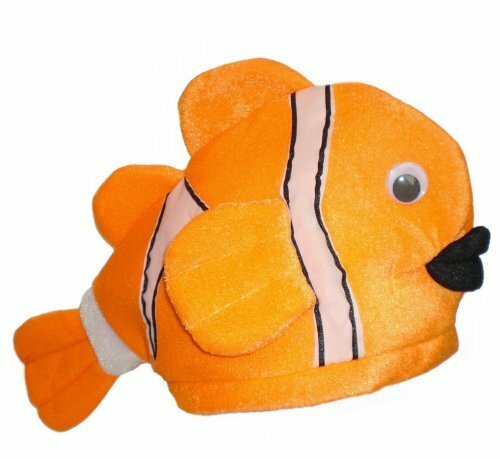 This adorable plush clown fish is a humorous hat that sits comfortably on the head. This tropical fish with its' bright orange body and white with black stripes will make any under the sea party complete. You won't want to hide this costume in an anemone. This adult sized hat, measures 11" wide x 9 1/2" tall. Wear this funny hat for any deep sea adventure. 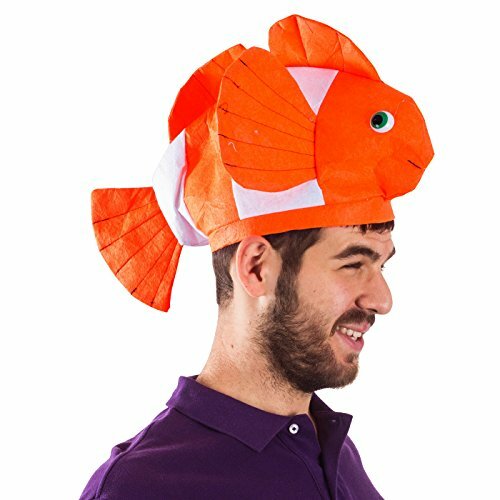 This clown fish hat is the perfect accessory for any Luau, tropical, Hawaiian, or beach themed party. Awesome Halloween or Cosplay hat! 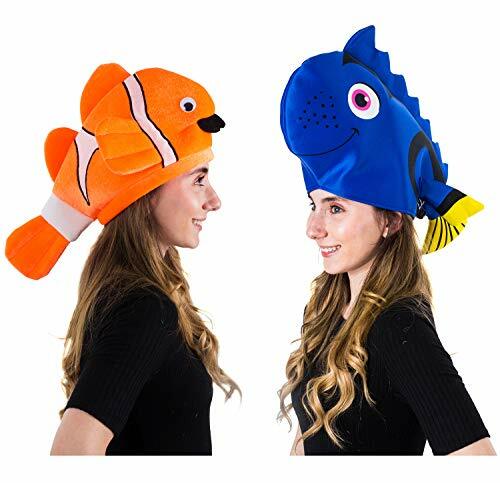 This set of two costume hats features one nemo and one dory hat! Great touch to any Finding Nemo or Finding Dory parties or events. Made from high quality fabric, one size fits most adults and teens, and is unisex! Quick and easy couples costume! Shark bait! Hoo Ha Ha! Just keep swimming, just keep swimming with this Dory Hat by elope. 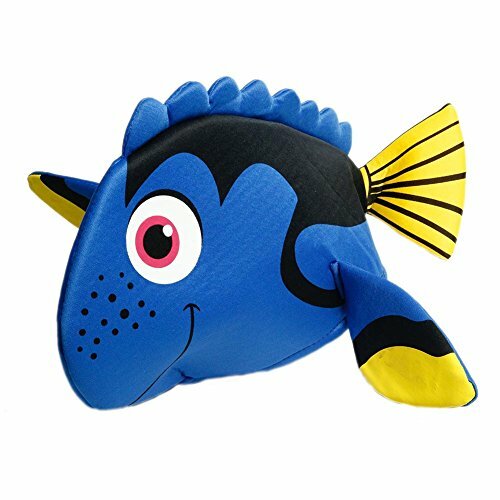 Soft and plush, this Dory hat is bright blue with fully detailed smiling Dory face and yellow Dory fins. You'll be on your way home and speaking whale in no time - though we can't guarantee you'll remember any of it. Large enough to help you get to P. Sherman 42 Wallaby Way Sydney or just back home. With a Velcro adjuster, this hat is can be modified to accommodate and fit most kids, teens, and adults. 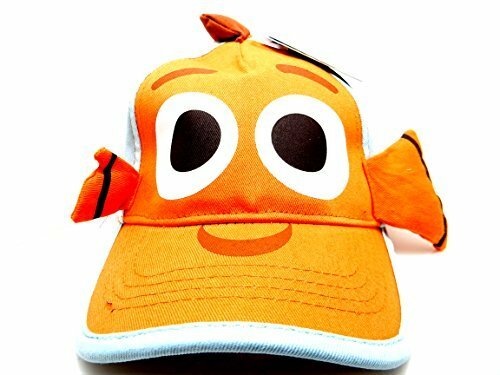 Whether they are a Finding Dory, Finding Nemo, Disney, or Ocean fan this Plush Dory hat is adorable and iconic to fit any personality. You won't forget where you placed your favorite hat! May run small on some adults. 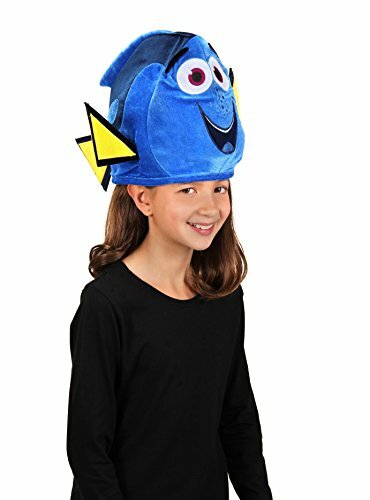 This Plush Dory Character hat is a licensed product of Disney. Not suitable for ages 3 and under. Not suitable for washing machine use. Hand wash only. 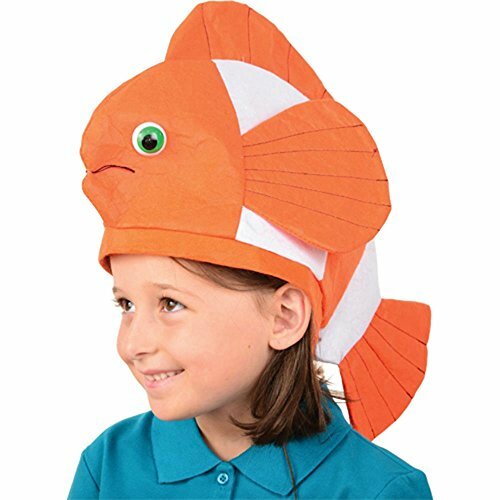 Jacobson Hat Company blue tang fish hat (poly) perfect for dress-up and roll play. High quality item at a price that can not be beaten. Jacobson Hat Company has over eighty five years of experience in selling and providing high quality toys. Size: 11\" x 9\"11" x 9"
Home video of Grant Romero walking with his Nemo Hat on.